Terra Lopez and Dani Fernandez left Sacramento and half of their successful band behind, starting fresh in Oakland and exploring a more electronic sound. The members of Sister Crayon call themselves loners. Terra Lopez started Sister Crayon as a solo project, but it quickly became a quartet that built a reputation as one of the best indie bands in the Sacramento music scene. Five years later, it's only Lopez and her synth player Dani Fernandez left standing, and they're forging ahead as a duo in their new home of Oakland and have just put out their first release, the electronically driven EP Cynic. "After five years of performing and making music, my goals have possibly altered a bit," Lopez said. "I'd hate to say I'm jaded, but I'm definitely not as naive as I once was. I know the realities of this industry. I just want to be as successful as I can be while creating music I believe in." By paring down Sister Crayon to a duo, Lopez has returned to the personal, raw, and experimental compositions that originally sparked the project. Lopez developed as a singer, musician, and performer in the Sacramento groups Kyoto Beat Orchestra, The Evening Episode, and Tired Hours, but eventually went out on her own. "I wanted total freedom to do whatever I wanted," Lopez said. Lopez and Fernandez met through mutual friends in 2007 and have been inseparable ever since — they're best friends, bandmates, and roommates. And after Lopez showed Fernandez her MPC 1000 sampler, the women started writing songs together, with Fernandez constructing beats and Lopez writing the melodies and lyrics. They never discussed Fernandez joining Sister Crayon; it just happened: She played a house show with Lopez and never left. Shortly after, keyboard player Genarro Ulloa and drummer Nicholas Suhr also joined the project. Sister Crayon took on the feel — and collective decision-making — of a band. Although the group garnered attention with the release of its album Bellow in 2011, which critics compared to Bat for Lashes and Florence and the Machine, Lopez felt she had lost her freedom and decided to downsize Sister Crayon to just her and Fernandez. "Change is always a bit scary and overwhelming," Lopez said. "But I'm confident this is what's best for the project." Both self-taught musicians, Lopez and Fernandez have helped each other develop as artists. At seventeen, Lopez taught herself to sing by studying Billie Holiday, Ella Fitzgerald, and Jeff Buckley. "I would stay in my room all night ... [and] dissect every word, phrase, inflection," Lopez said. She said she recorded hundreds of demos alone with her classical guitar and MPC. Fernandez's father, a percussionist, introduced her to congas and djembes. Since then, she's made beats with anything she can find. Both women are inspired by the electronic soundscapes of Flying Lotus and James Blake, and both are self-described loners. Although they moved to North Oakland to gain a fresh perspective and challenge themselves, Lopez and Fernandez continue to be reclusive. "We really just hole up in our rooms and work on music and rehearse," said Lopez. "I would be lying if I said we explore a lot." As for missing the Sacramento music scene, Lopez admitted that they never really fit in: "We've never felt like we fit in anywhere in particular." The move has certainly changed Sister Crayon's sound — and for the better. 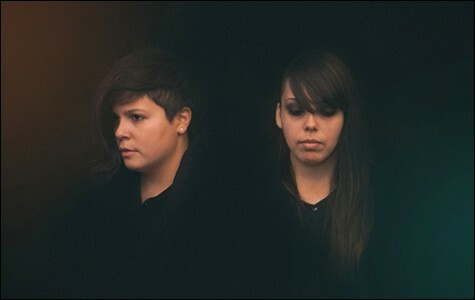 Cynic, released on April 16 by Fake Four, is the result of an intense six months in the studio during which the two women shifted their style to something decidedly more electronic and personal. "[The title track] 'Cynic' formed as more of a prayer or mantra that I ended up humming to myself at times when I needed to calm myself down," Lopez explained. "The song turned into a confessional type of thing where I address my absent father, my lover, and myself. It's just me trying to figure out how and why I do the things I do ...."
That undercurrent of alienation and, well, cynicism, reverberates throughout the EP, which is a heartbreaking and repeatedly listenable trip-hop lament on Lopez's experiences. Working with producer Wes Jones, the duo furthered its education on technology — synths, samplers, loopers, mics for vocal effects — that allowed it greater control over its sound. "Where before we were experimenting, now we're crafting," Lopez said. The final product is dark, atmospheric, tightly produced, and affecting. It's in performance, however, that Sister Crayon's art comes alive, no doubt the result of national tours opening for Built to Spill, Map & Atlases, and Album Leaf. On April 5, the duo opened for electronic producer Shlohmo at 1015 Folsom, enlisting drummer Omar Barajas for its live show. The set was a complex mix of spectral vocals, hypnotic synths, and heavy metal drumming. Both women were dressed in head-to-toe black: Fernandez was somber and still, her face covered by her hair, while manning the MPC 1000, while Lopez, mic in hand, banged her head and crashed around the stage. The crowd pressed closer, seemingly impressed but also perplexed. 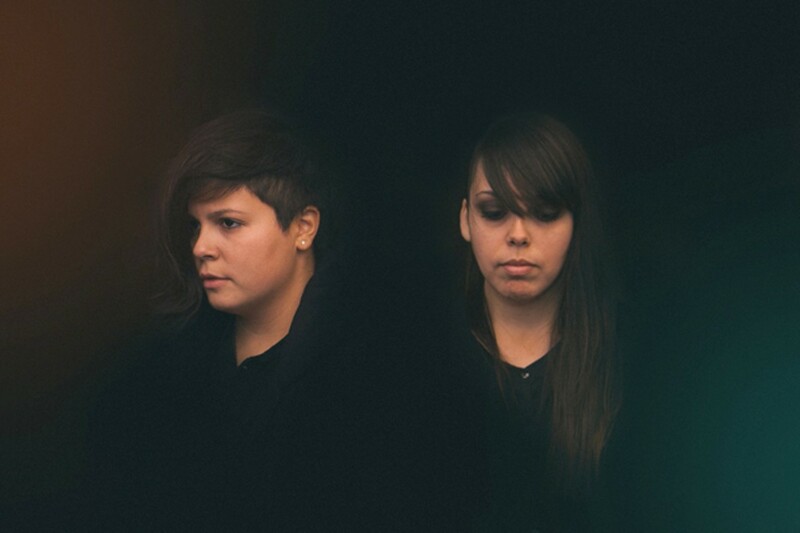 Sister Crayon will play its EP release show at Rickshaw Stop on May 14, and then depart for a West Coast tour. Upon return, the duo plans to wrap up a full-length album, scheduled to be released in late 2013. The Oakland rapper grows up, his way.